Hi friends! Today I'm back with a Christmas card I made using the Wishing You stamp set! 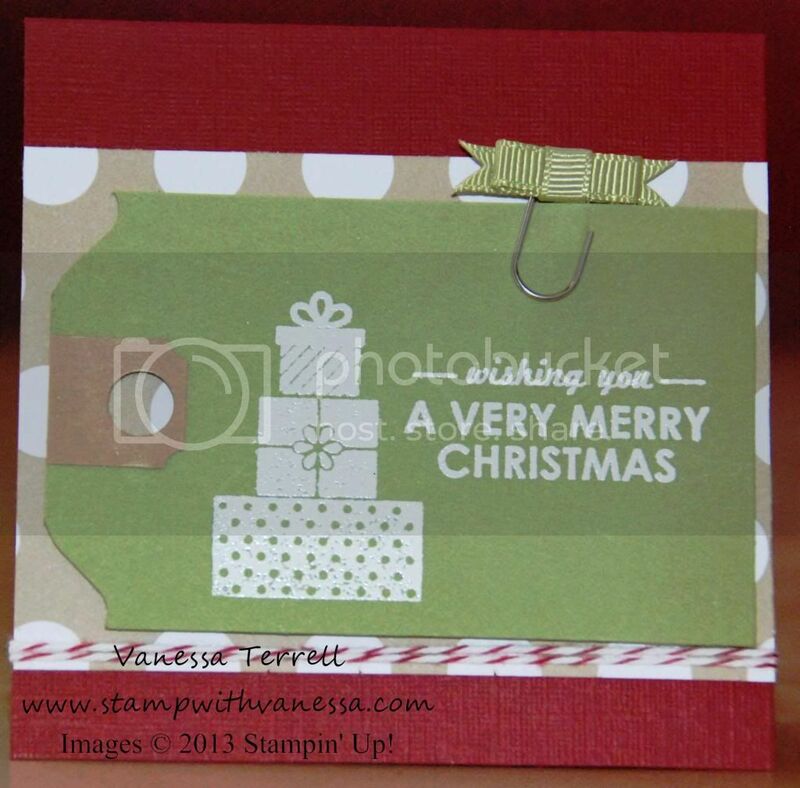 I cased this card straight from the Holiday catalog, but I did change my tag up...I made my tag using the Envelope Punch Board...love the Punch Board! This is another one of those cards that you could mass produce. I also like this card because it's a square card...sized at 4 1/4' x 4 1/4' and fits in a normal envelope...but even if it didn't we could make our own with the Envelope Punch Board. This card also features Heat Embossing and a fun little accent...Old Olive Simply Styled Embellishments. 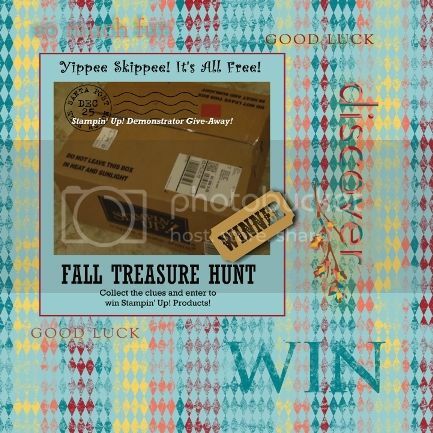 Labels: Christmas Card, Heat Embossing, Late Night Stampers 2013 Fall Treasure Hunt, Stampin' Up!